In the process of giving fans the first look at Doctor Strange, which recently wrapped filming ahead of its November release, Marvel finally let the cat out of the bag on a few interesting reveals. Let’s run through a number of things that we thought we knew about Doctor Strange, that have just been confirmed by the new trailer. Tilda Swinton’s not one to play games when it comes time to construct a character. Nor is she shy about completely changing her look, if it benefits the role she has been hired to play. 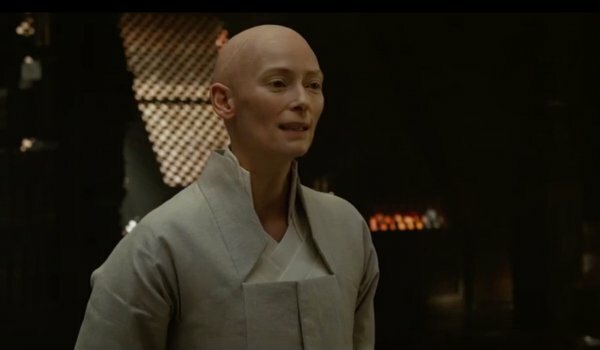 Anyone who has seen her on screen in projects ranging from Snowpiercer to Only Lovers Left Alive know that Swinton can be a beautiful chameleon, and yet, we’re still caught off guard by her stunning commitment to the look of The Ancient One – a Marvel character who, in the past, has been Asian and male. Swinton’s taking a different angle, obviously, and her look in the trailer is mesmerizing. And it looks like she will be working in the hospital that treats Stephen Strange (Benedict Cumberbatch) following his horrific car accident – more on that in a moment. 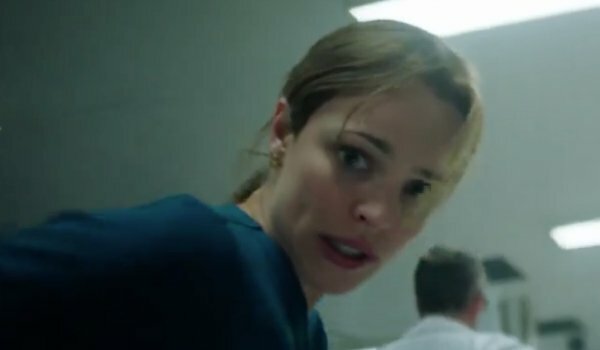 We only get one glimpse of McAdams in the trailer, but she’s clearly wearing scrubs and following a rolling gurney through a hospital hallway. We’ve been hearing that McAdams’ character will be a human lifeline that anchors Strange to his previous reality as he gets deeper into sorcery. Labeling her as a human nurse likely means she isn’t Clea… a classic love interest of Strange and someone they might be saving for a sequel. The first in Phase Three, and the only one we expect to see on Marvel’s slate until Black Panther in 2018. Though Stephen Strange was name-dropped in Captain America: The Winter Soldier by an operative of HYDRA, we don’t really know HOW his powers came to be. 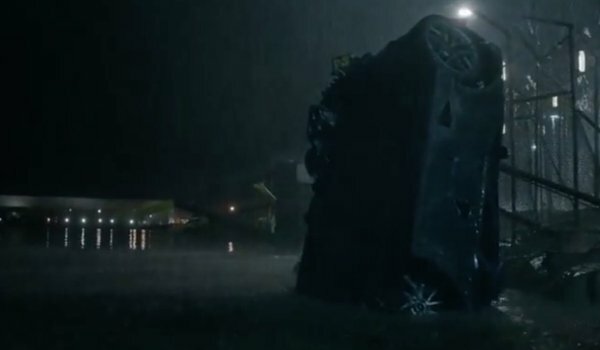 This trailer opens with Strange submerged in water, his car sticking out of a body of water. 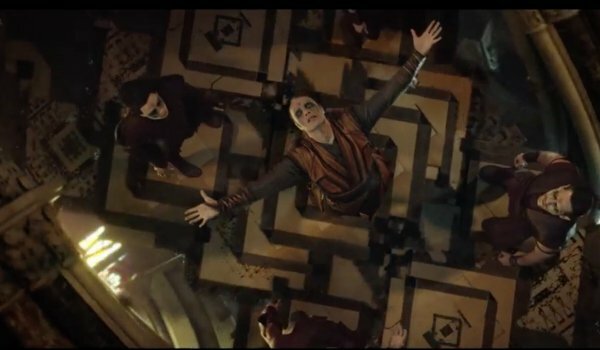 It’s in this accident where Strange will injure his hands, sending him on a journey of healing (physically and spiritually) that will turn him into Doctor Strange. There’s enough imagery in the trailer to confirm that we’re going to get a chunk of Strange’s origin, from shots of him in a tuxedo long before the accident to images of him in the hospital, prior to his training with The Ancient One. Mikkelsen’s character remains a mystery, despite some set-photos snapped of his costume and make up. We know that Chiwetel Ejiofor has been cast as Baron Mordo, a usual adversary to Strange (who might be more of an ally in this movie), but we knew little about Mikkelsen’s character. While we still don’t have an official name for him, every time we see him in the new trailer he’s bending reality around him, leading to some of the clip’s most breathtaking visuals. Mikkelsen looks to be playing a very powerful sorcerer, and if we had to wager, he’s going to be a major thorn in the side of Stephen Strange, The Ancient One and Baron Mordo. We’ll See The Sanctum Sanctorum! 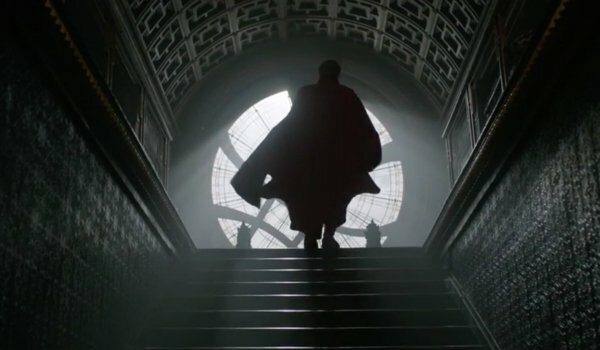 While a lot of Doctor Strange seems to be preparation for who the hero eventually will become, the trailer confirms that at least by the end of the movie, Benedict Cumberbatch will have his headquarters – the Sanctum Sanctorum – established in New York City. Located on Bleeker Street in Greenwich Village, the Sanctum Sanctorum is a three-story townhouse where Strange resides. It has an aura that lured Strange, and he uses it as his base of operations. The Doctor protects the Sanctum with magical spells and enchantments, but establishing Doctor Strange in NYC means that eventual crossovers with Spider-Man, Daredevil, or The Defenders are on the table. True Doctor Strange fans will lose their minds when they see a physical recreation of the Sanctum Sanctorum on screen. Will you?